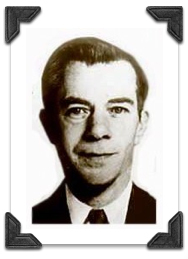 Willy Sutton was one of the most successful bank robbers in American history. After being captured he was asked by the media how he was able rob so many banks without getting caught. His answer was both witty and wise. “I learned a long time ago,” Willy said, “That people will do anything you want if you carry a smile … and a gun, instead of just a gun.” Willy Sutton knew a little something about likability. What I’m about to share with you is going to look uncomplicated on the surface, and to some extent it is. The magic lies in how you apply these principles to your job and to your life. Once you master the laws of likeability, you will be shocked at the effectiveness of something so simple.